Home » Posts Tagged "Alcoholic Beverages"
Beer is health food in a mug. Non-drinkers often abstain in order to improve their health, but they are 70 percent more likely to die prematurely than those people who drink four beers a day. 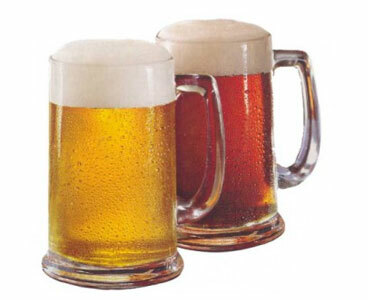 Beer is a natural ferment that inhibits free radical scavengers and removes poisonous heavy metal like lead, copper and mercury. There are two types of alcoholic beverages. The first type is a low alcohol-content beverage produced by fermentation of sugar or starch-containing products. The second type is high-alcohol-content beverages produced by distillation of the low-alcohol-content beverages.